Lindsay Hoffman, D.C. specializes in diagnosing and resolving most conditions using soft tissue manual therapy and chiropractic treatments. All of her treatments are safe and effective and provide patients with immediate and lasting results without medication. Fast Acting Treatments. Lasting Results. Come experience Dr. Lindz’s unique approach to chiropractic care. Dr. Hoffman (aka Dr. Lindz) specializes manual therapy treatments, which identify and corrects most soft tissue injuries. It’s safe, gentle and effective for people of all ages. By restoring the body’s own natural healing mechanisms, many long-standing conditions can be improved without the use of pharmaceuticals or surgery. Have questions? Call Dr. Lindz today! Dr. Lindz specializes in individualized chiropractic care. She uses a variety of healing techniques including diversified, Thompson drops, activator, and extremity adjusting. Great work by Dr. Hoffmann. She was able to quickly diagnose my problem and start making improvements within the first couple of sessions. My problem has built up over the past year, so it's taking some time to work through, but she's able to explain exactly what is happening in each session, and I can see the improvement. Highly recommended. Quality, Offerings, Customer Service, Timeliness I felt like I was getting top notch care with Dr Hoffman. Thank you for being so thorough. The recovery pump is awesome. I was struggling with minor back pain to the point where I could not stay seated. After one appointment with Dr. Hoffman, I immediately noticed a difference. She did a fantastic job not only alleviating the pain, but also explaining what was actually happening to my back and what may be the root cause. She also gave me a few tips as well as stretches I can do to prevent the pain, and gradually make my back stronger. I highly recommend her services! I had such bad back pain that it hurt to sit down and get up. I would have never thought that three easy visits to Doctor Hoffman would make that pain go away completely. 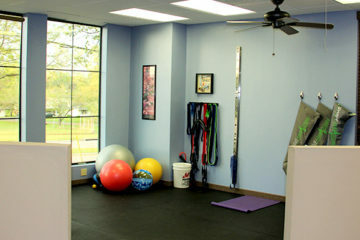 If you’re looking for a rehab expert—especially for sports related aches and injuries—look no further. I played college sports for 5 years and still lead an active lifestyle. Injuries and chronic pain seemed to just be part of that. After visiting Dr. Hoffman, I’ve never felt better. Her unique approach goes well beyond just the traditional chiropractic appointment and her treatment style is custom to each patient. Her passion and ability in her work is outstanding. I’ve already referred her to my family and would recommend anyone else experiencing discomfort, big or small, to see her first! In the sessions I have had with her, I have had noticeable pain and tension released from some problem areas of mine (hips, knees, shoulder, ankle and foot) that have been nagging me for years from football, track and currently Muay Thai. I have already recommended her to plenty of people looking for a long term fix to their health and going about it the right way. I am very appreciative of her time and effort she has contributed to improving my long term health. I look forward to continuing the process of improving with Dr. Hoffman.